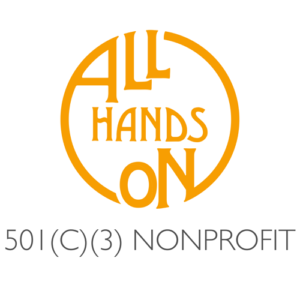 A not-for-profit organization incorporated in the state of Georgia, USA, and was founded by Aaron & Kiesha Shoemaker on April 15th, 2014.The board of directors of All Hands On is led by Lieutenant Terry Barlow, US Navy retired, who serves as the Chairman of the Board. 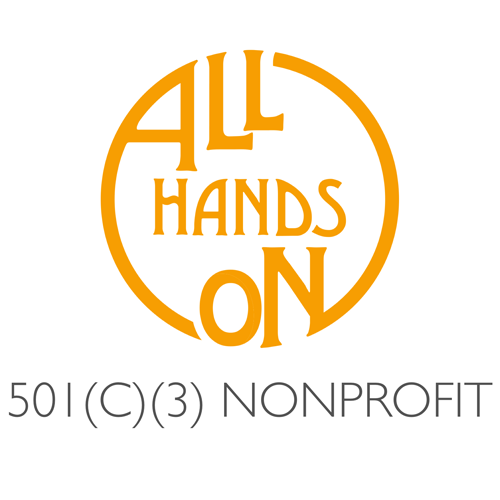 Aaron Shoemaker, Kiesha Shoemaker, Jonathan Barlow, John Mark McCall, and Kevin Henderson serve as board members. 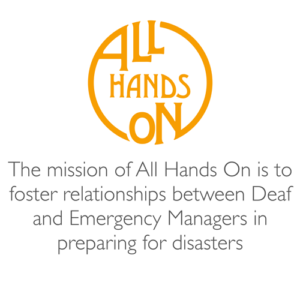 The board of directors, corporate officers, and leadership of All Hands On is composed of individuals who are Deaf, a Deaf educator, Interpreters for the Deaf & Hard of Hearing, and teachers of American Sign Language. 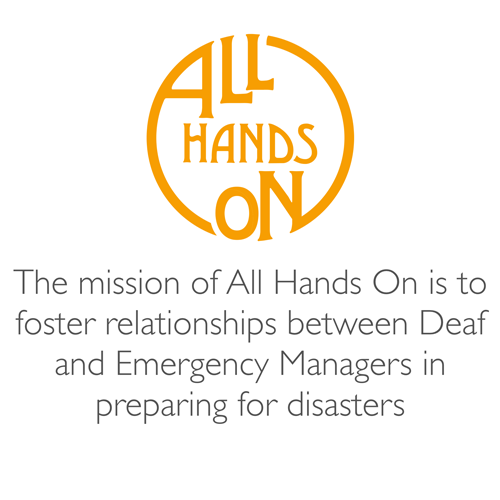 All Hands On is veteran-led, Deaf-led, Deaf-run, and Deaf-focused.